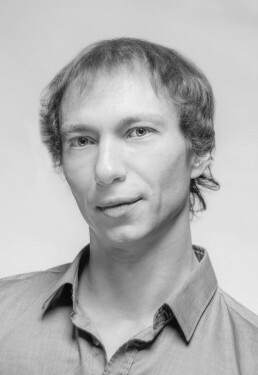 Russian born, Denis Veginiy is a Principal with the Semperoper Ballett and trained at the Perm Ballet school in Russia. He successfully participated in several competitions, his awards include coming third at the Prix de Lausanne in 1999 and second at the International Ballet competition Reitti in 2002. Denis is also an International Guest Artist. Before joining the Semperoper Ballett he also performed with the Tachkin Ballet Company St. Petersburg, Mikhailovsky Ballet St. Petersburg, Städtische Bühnen Krefeld-Mönchengladbach and Aalto Theater Essen in Germany. His repertoire includes roles such as Prince Florimund in The Sleeping Beauty (Aaron S. Watkin after M. Petipa), Siegfried in Swan Lake (Aaron S. Watkin after M. Petipa and L. Ivanov), Solor and The Golden Idol in La Bayadère, The Nutcracker Prince & Cavalier in The Nutcracker (Aaron S. Watkin/Jason Beechey after M. Petipa), James in La Sylphide (August Bournonville), Principal couple in Theme and Variations and Emeralds from Jewels, Tarantella Pas De Deux and Franz in Coppélia (Balanchine), Lescout in Manon (Kenneth MacMillan), Grand Pas Classique (Victor Gsovsky), Le Corsaire (Pyotr Gusev), Der Wilderspenstigen Zähmung (in Versions by H Schwaarz & John Cranko) the father in Romeo and Juliet (Stijn Celis), Giselle & The World According To Us (David Dawson) and In The Middle Somewhat Elevated, Impressing the Czar, Enemy in the Figure, The Vertiginous Thrill Of Exactitude, The Second Detail and Artifact Suite (William Forsythe). Additionally, throughout his career he has been involved in numerous creations and Principal and Soloist roles in works by Alexei Ratmansky, Hans Van Manen, David Dawson, Christian Spuck, Alexander Ekman, Johan Inger, Renato Zanella, Kurt Jooss and Craig Davidson.